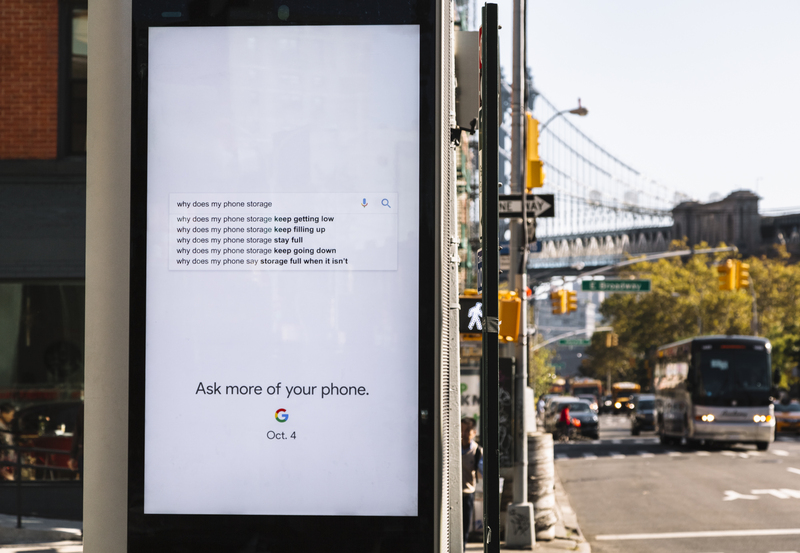 For the global launch of Google’s new phone, the Pixel 2, we created the ‘Ask more of your phone’ campaign in which the two minute anthem film was the cornerstone. 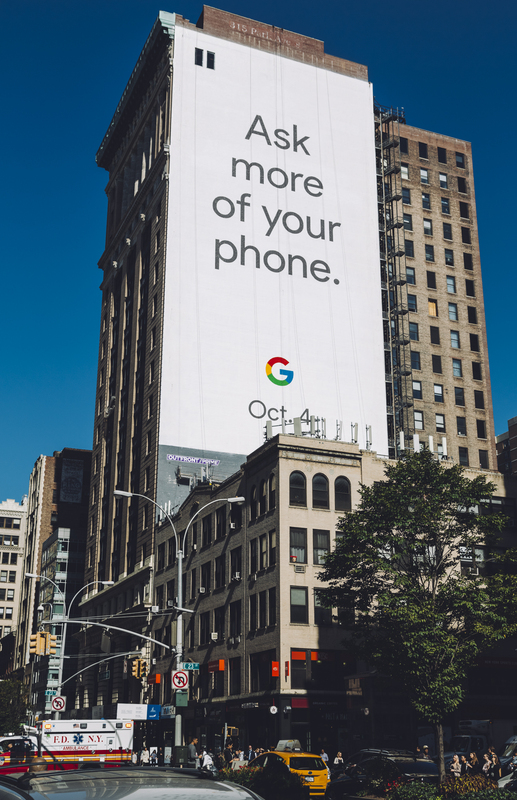 It is a high-paced film filled with characters from all walks of life with a few recognizable faces–all questioning what a phone can do. 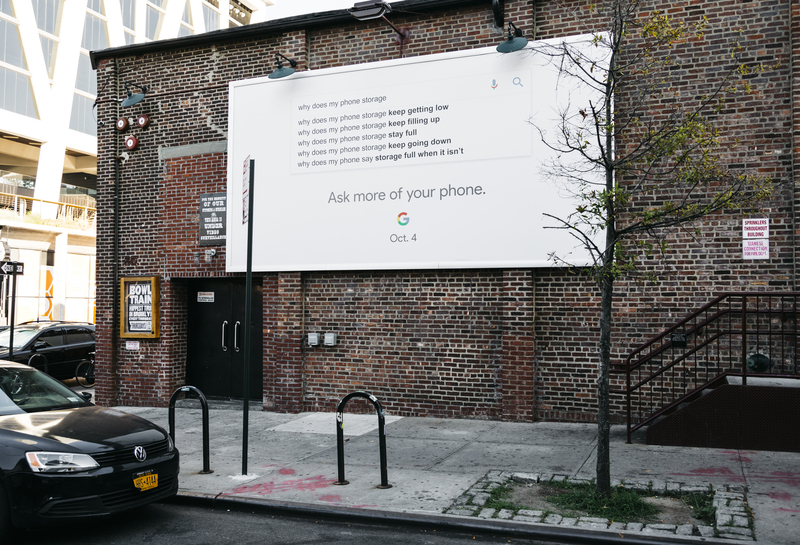 It’s a film that celebrates Google’s love for questions and how they push us forward–and how it’s now time to question that precious thing in your pocket, and ask more of your phone. 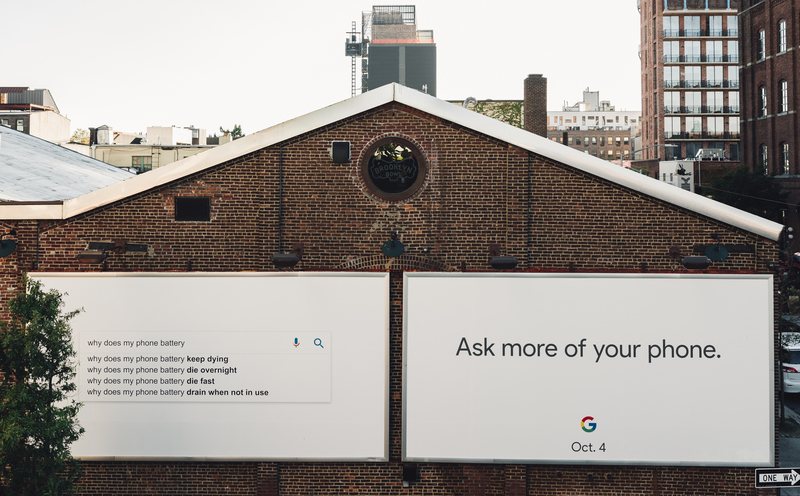 The film blends VO, in-scene and the Google Assistant voice to create a fun playful swiss-clock of a ride that links the idea of questioning directly to the uniqueness of the Pixel 2 and its Google Assistant. 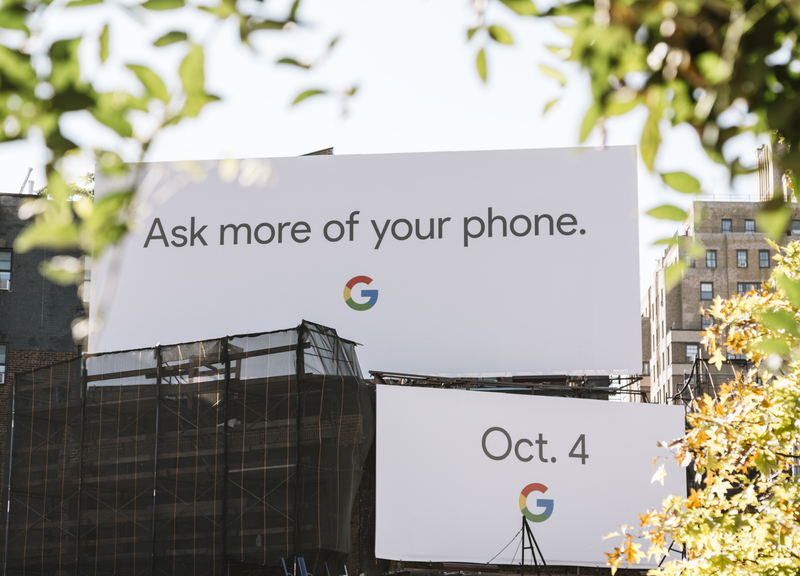 To tease that a better option to that phone in your pocket was coming, we took Google’s most recognizable asset–the search bar–and simply let its autofill functionality show the pain points that people are experiencing with their current phones, at the same time as we implied that the answer to these problem was coming. 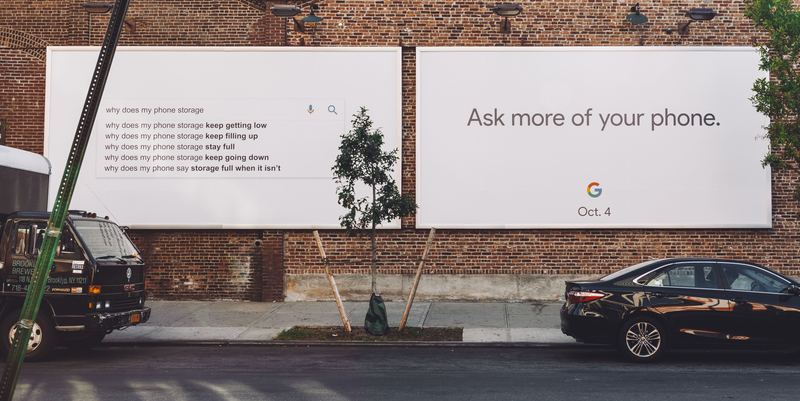 Special thanks to Jesse Vega for photographing the billboards.